The Monsoon season of 2014 has been one for the record books thus far! 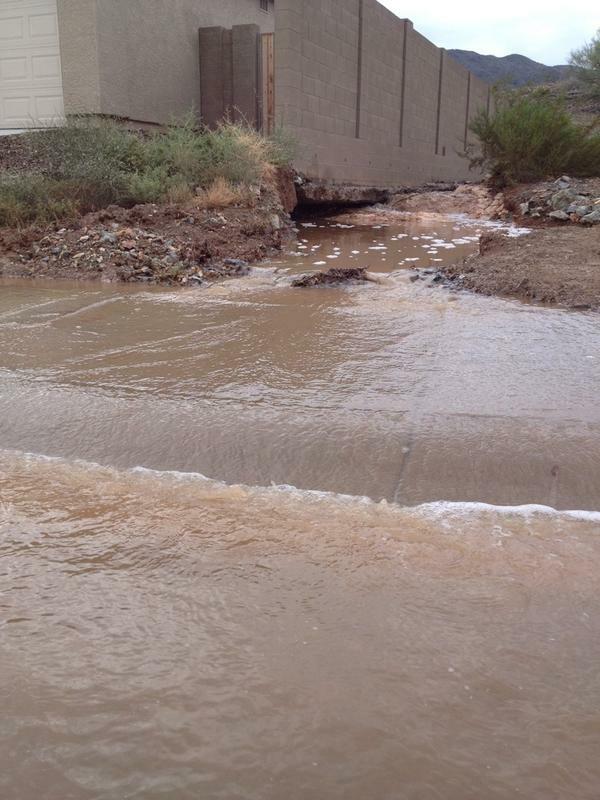 People all around the valley of the sun have witnessed excessive rain and flooding the last few weeks. Who says it doesn’t rain in Phoenix? We have seen plant nurseries wiped out in the town of New River and new homes at the foot of South Mountain flooded. So what should we do in the case of a flood. Here is a summary of steps to take from the article from Gwen Moran. To learn more in-depth click here. Jason "Jay Rock Realty" born and raised in Phoenix, Arizona is top-notch real estate professional that works to ensure that sellers receive top dollar for their homes in record time, and that buyers find the perfect home for their budgets. Specializing in Phoenix, Carefree, Cave Creek, and Scottsdale real estate communities and the surrounding area. Jason has spent years working on the appraisal side of real estate transactions giving him in-depth knowledge on home values which is essential in a real estate transaction. Whether it is helping first time home buyers achieve the pride in ownership or it is helping investor's build a plan of success in a productive rewarding industry, he gets it done with enjoyable and producing methods. This entry was posted in Arizona, Flood, Flooding, Insurance, Life, Monsoon, Protection, Real Estate, Real Estate Market, Storm and tagged arizona, business, buying, damage, flood, flooding, insurance, mold, monsoon, monsoon2014, Phoenix, protection, rain, Real estate, realestate, risk, storm, tips. Bookmark the permalink.